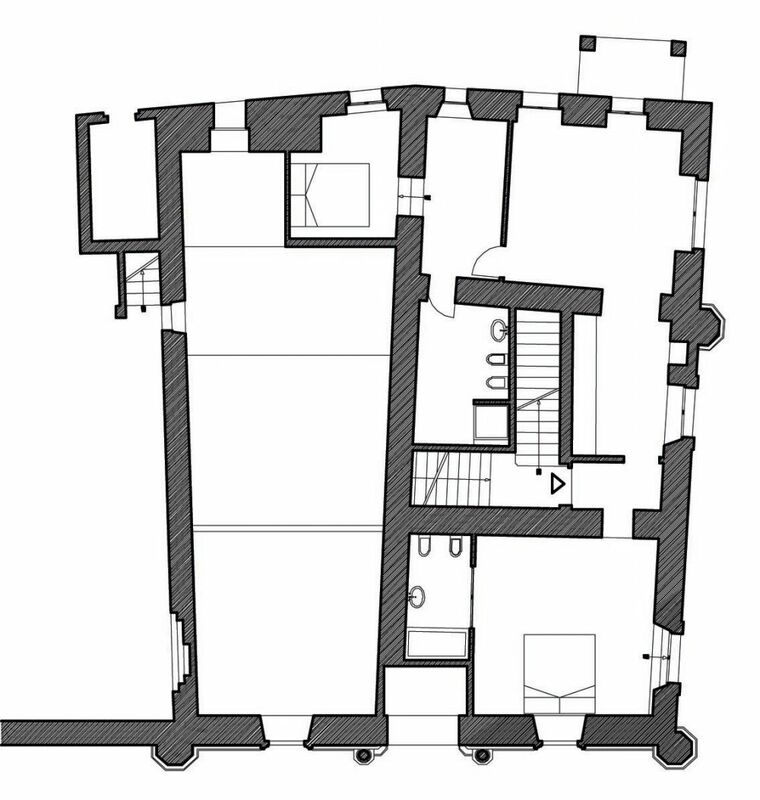 Palazzo Vitali in Petritoli is for sale as a project. The palazzo is listed as a monument by BelArte. EHE has restored the building to builders finished; the building will be perfect for a single owner residence, alternatively up to seven individual flats. Palazzo Vitali is built is a beauty build in the Venetian Gothic style. It is situated in the Old City Centre of the medieval town of Petritoli, in Le Marche in Italy. The Palazzo is without any doubt the most beautiful and interesting building in the area, and has been listed as a monument by BelArte. Palazzo Vitali is based on a foundation from the 15th century, the building dates from 1880. The entrance to the a sunny walled garden - the cities largest - goes through a wrought iron gate with gold-plated lion masks - the lion is used in the coat of arms of Venice. 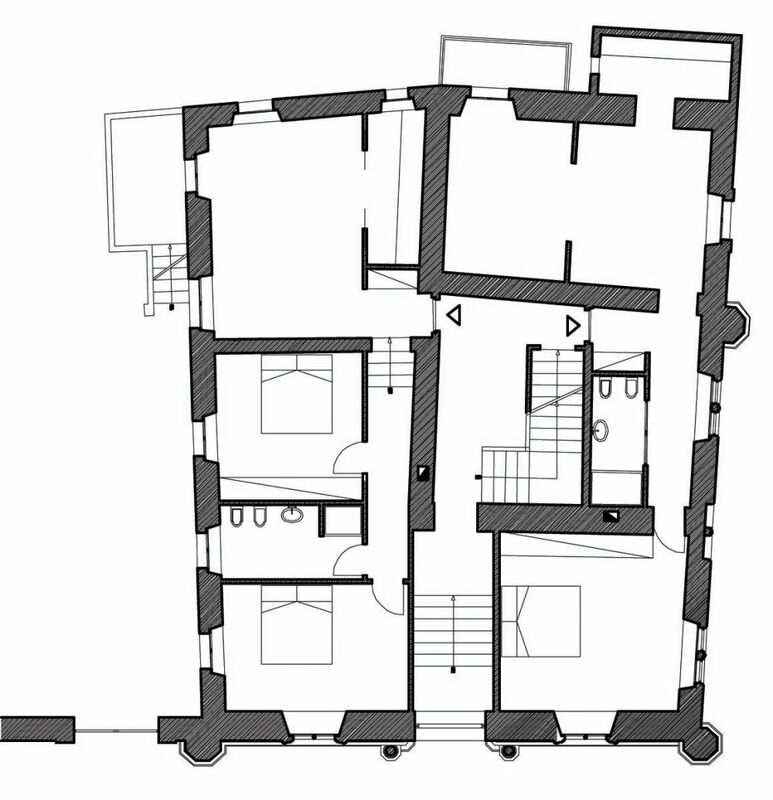 Below you find the layout of ground floor, basement, first- second- and third floor with a huge terrace with breathtaking views to all four corners with Monti Sibillini and the Adriatic Sea. 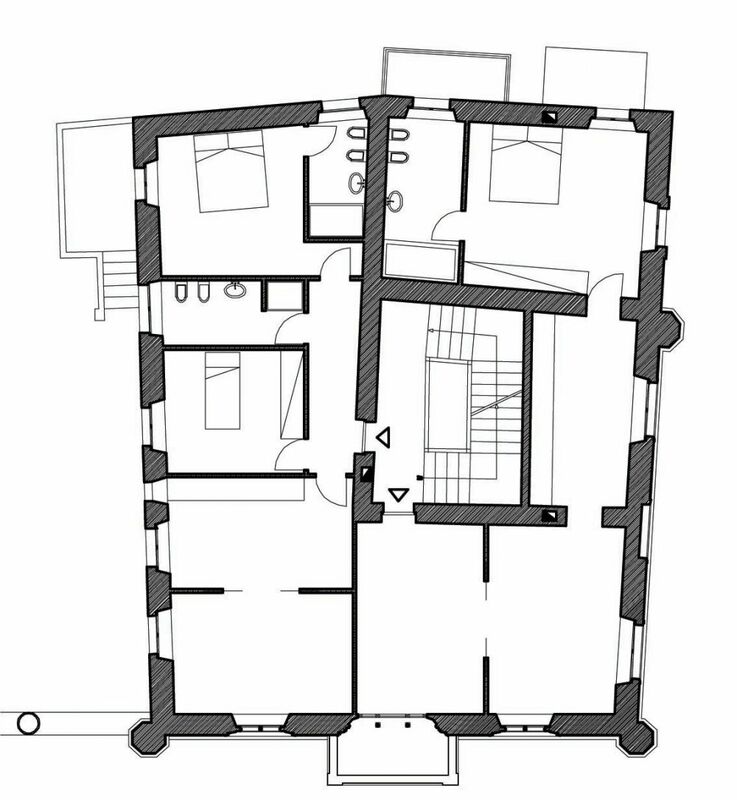 Ground floor, first- and second floor can have two apartments on each floor. Third floor has one apartment. 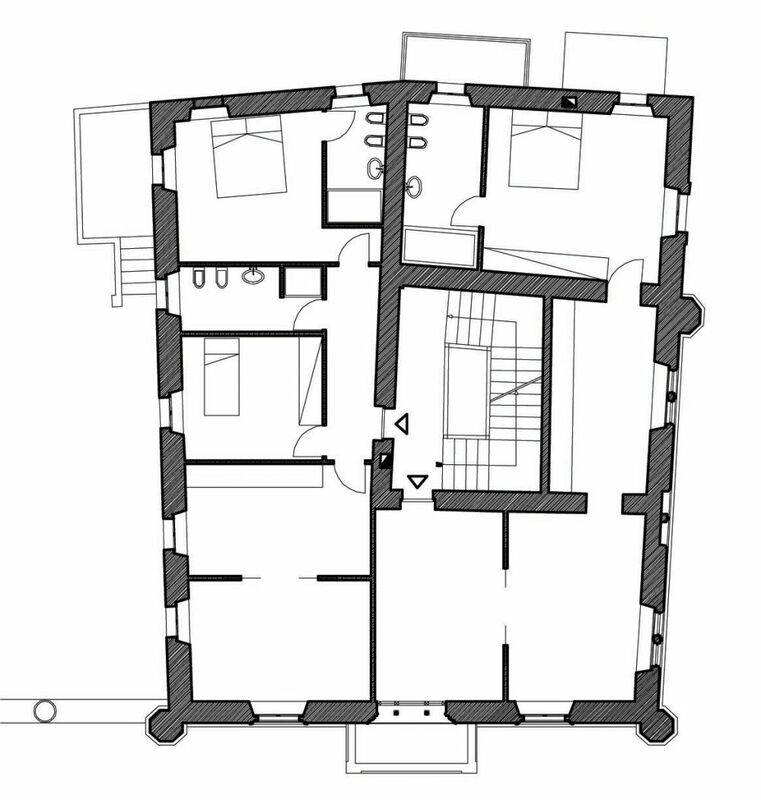 The whole house is 810 m2. 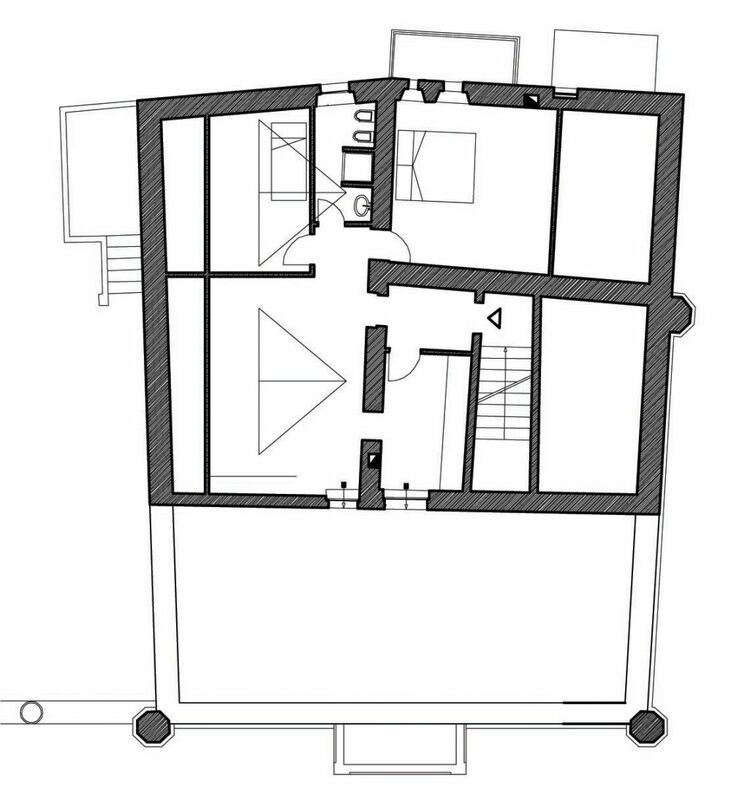 Top terrace is 58 m2. Walled courtyard is 600m2.